Landscapes are one of the hardest-working parts of any living or working environment. Your lawn and trees clean and filter water and air, produce a tremendous amount of oxygen, provide natural air conditioning in summer and add to your home’s insulation in the winter. Turf and trees also absorb sound very efficiently which means more peaceful surroundings. And besides all of these practical, scientific benefits, most trees and shrubs provide a changing kaleidoscope of color and texture throughout the seasons of the year. When you consider the aesthetics of natural beauty, combined with the health-giving benefits, your lawn and landscape becomes one of your very best investments. Every lawn and each landscape – no matter how large or small – is a valuable part of the larger green investment we all share. We enjoy working with nature to create environments that work hard at delivering benefits while still being conducive to relaxed living. 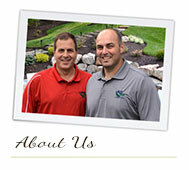 Our goal in this newsletter is to help you enjoy having your lawn and landscape more. We’ll keep you informed of news and pass on ideas and suggestions that can help. We’ll try to explain how and why things happen the way they do and remind you of important seasonal needs. 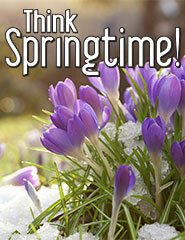 Spring is a big season for planting new trees, shrubs, and other landscape plants. In almost all of us, there’s an urge to plant as the days get warmer and longer in the spring. It’s tempting to just add a few trees or shrubs in spots you think they would look nice. Remember, a landscape’s real success is determined by how well it fits your property while meeting your long-term personal and financial goals. 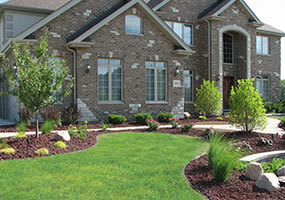 The very best way to handle landscape planting is to start with an over-all plan. Having a good plan doesn’t mean you have to install the whole landscape at one time. You can spread the work out over several years, but each addition should fit neatly into the over-all scheme. • Mature size of the plants: you should always allow for the growth of the tree or shrub so that windows, walks, and drives are not blocked as the landscape matures. 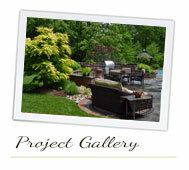 • Privacy for you in your yard: screening of neighboring properties can be done with plant selection and location. • Shade and temperature control: selection and placement of trees and shrubs will have a big impact on utility costs and enjoyment of your property over the years. 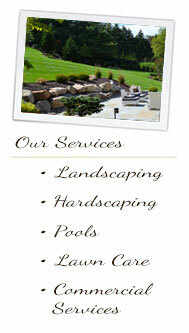 • Maintenance costs: there are both high and low maintenance landscapes. Your use of the property and commitment to on-going care should be considered. 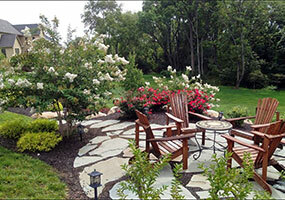 Your landscape has a big impact on the long-term value and day-to-day enjoyment of your home. It’s worth the small amount of time required to plan into the future when you decide it’s time to add trees, shrubs, or planting beds. 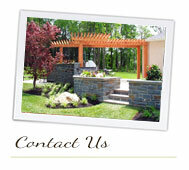 If you need assistance with or ideas for “putting down new roots” this spring, please give us a call.